How to delete Digital Certificates from Other People, Intermediate Certification Authorities, Trusted Root Certification Authorities etc. But if you want to delete the Digital Certificates from Other People, Trusted Root Certification Authorities, Intermediate Certification Authorities, Trusted People etc. then it is not possible by above process because you will get Remove button disabled when you try to remove the certificates from these folders. Now, what to do to remove the certificates from these folders if required? Press Windows Key + R at to open Run Command in Microsoft Windows. 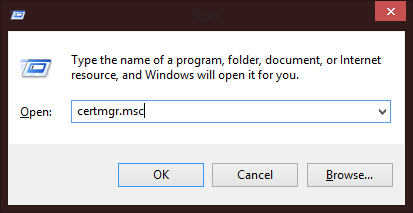 Type the command certmgr.msc and click on OK button. 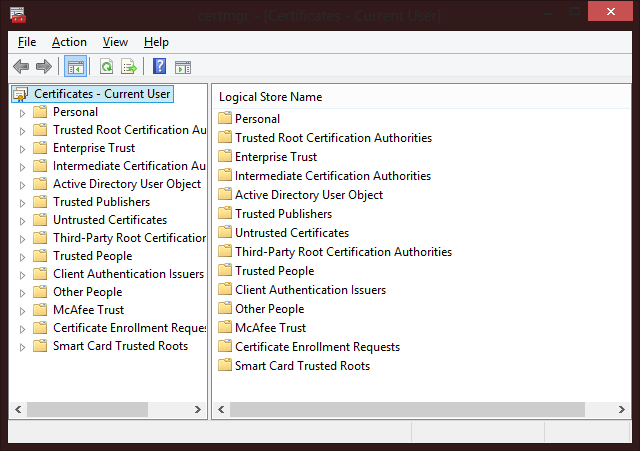 It opens a new window Certificate Management Window which contains all the certificates installed in the system. You can see the installed certificates in right side by selecting the folders from left side. If you want to delete a certificate from a particular folder then select that folder from left side and right click on the certificate shown in right side and after that click on delete to delete the certificate. You will get an alert to delete the certificate, if you want to delete the certificate then click on Yes button and certificate will be deleted permanently. You can also delete the multiple certificates by selecting them. What precautions should be taken for safe use of e-Tokens? 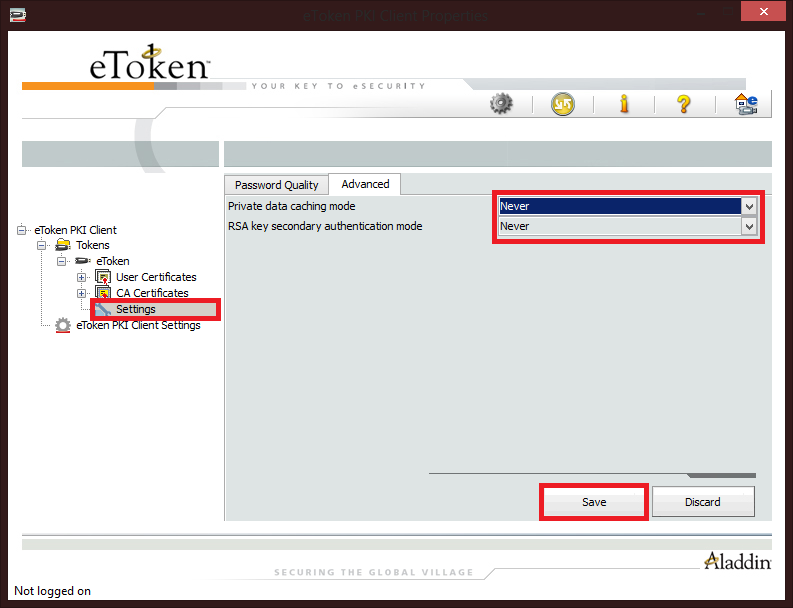 Step 2: Click on 'Settings' under eToken PKI Client > Tokens> eToken> Settings, then Click on 'Advanced' tab, There are two Options 'Private data caching mode' and 'RSA key secondary authentication mode', select 'Never' from dropdown menu for both options. Then click on Save button. 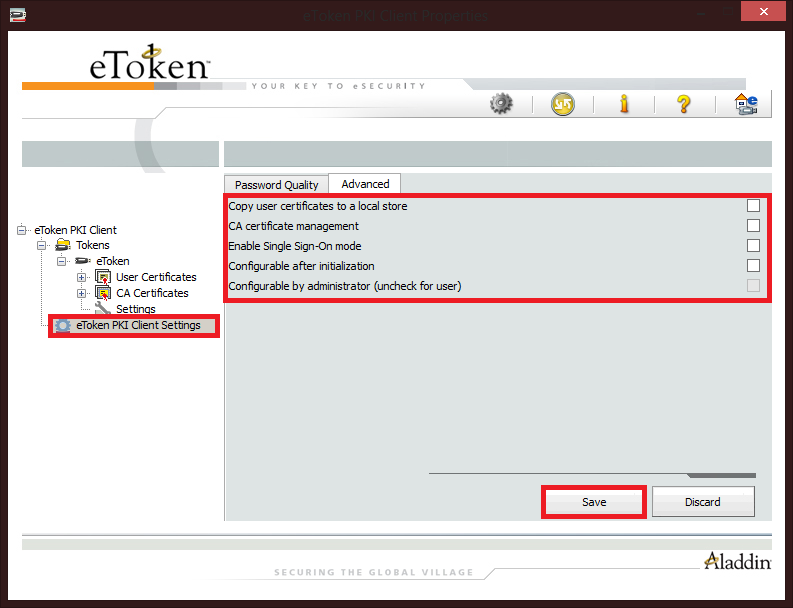 Step 3: Click on 'Settings' under eToken PKI Client > eToken PKI Client Settings, then Click on 'Advanced' tab, There are five check box for five options 'Copy user certificates to a local store', 'CA certificate management', 'Enable single logon mode', 'Configurable after initialization' and 'Configurable by administrator (uncheck for user)'. All checkbox should be unchecked. Then click on 'Save' button. By adopting above procedure, it will be possible to remove the private data of Digital Signature Certificate from client machine. 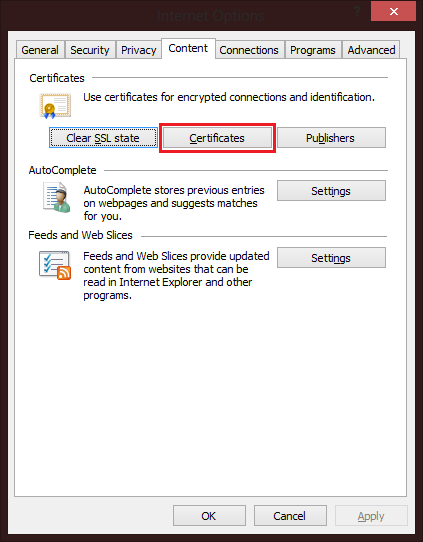 How to remove or delete Digital Certificates from the Web Browser? Open Internet Explorer, go to Tools> Internet Options> Content Tab and click on Certificates button. A new window will appear contains all the Digital Certificates, select the tab from which you want to delete or remove the Digital Certificates. 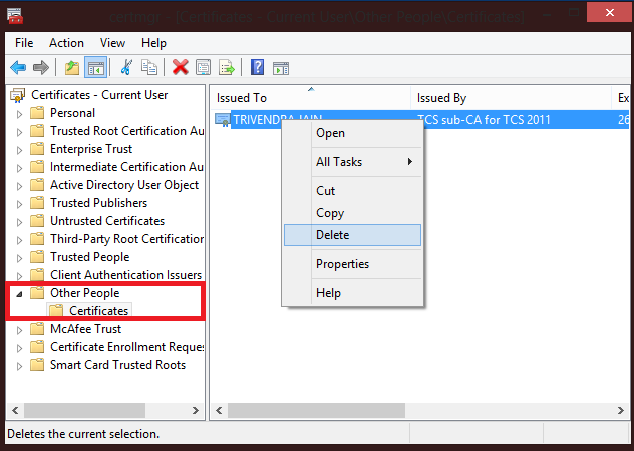 If you want to delete the Digital Certificate of the Test User 2 from the Personal tab then select the certificate and click on the Remove button. A confirmation dialogue shown below will appear after clicking on the Remove button, click on Yes button to remove or delete the selected Digital Certificate. That's it, Digital Certificate of Test User 2 deleted from the Personal folder of web browser. Windows XP: You can delete the certificates from folders like Other People, Intermediate Certification Authorities etc. by above process. What to do when “Run Time Error” occurs while attaching the Certificate? When e-Token driver is not installed properly or e-Token driver has been corrupted. In this case, please re-install the e-Token driver after uninstalling it. 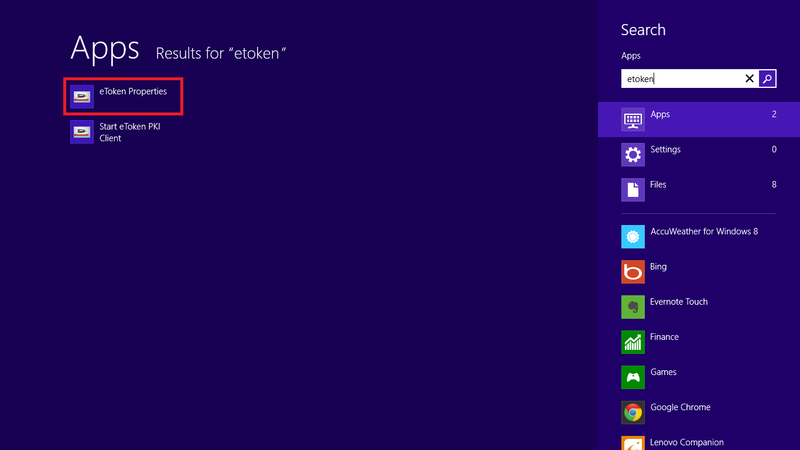 Digital Certificate should not be shown in the web browser after removing the e-Token from the system. 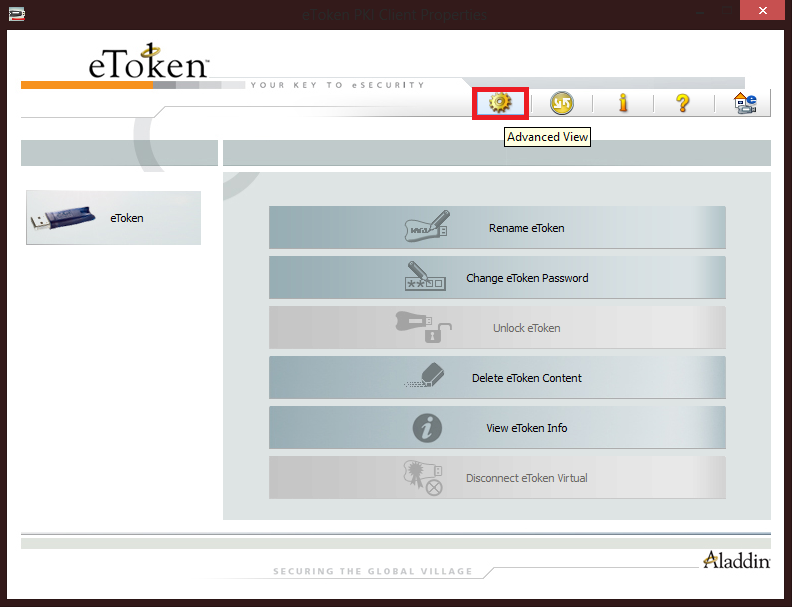 If certificates shown in browser after removing the token then, please remove all Digital Certificates from the web browser and re-insert the e-Token. How to confirm whether Digital Certificate has been correctly installed in the internet browser? To see the Digital Certificate in Internet Browser first you need to install the e-Token driver in your system. After installing the e-Token driver, insert USB e-Token containing your Digital Certificate in the system, view your Digital Certificate by going to Tools> Internet Options> Content Tab> Certificates. Select the digital certificate and click on view button to see the details of the certificate. 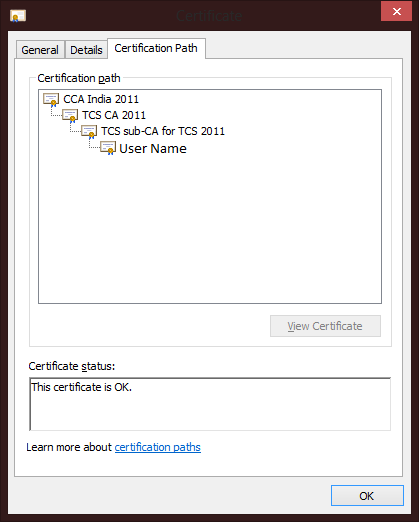 General tab should show that certificate is valid, now go to Certification Path tab and make sure that there is no red cross sign and it is showing the hierarchy CCA India> Certifying Authority(CA)> Sub-CA> User Name. 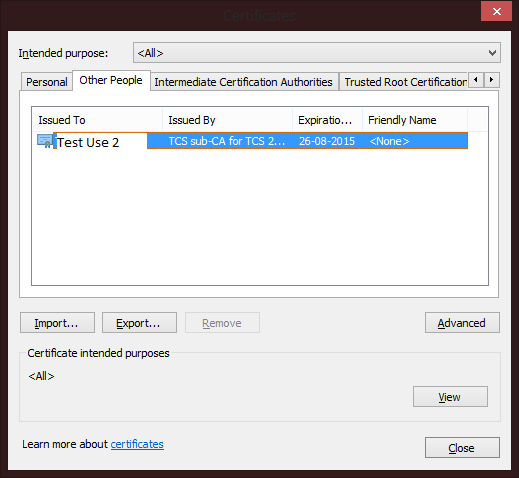 If it is not showing, then open your Internet Browser and go to Tools> Internet Option> Content Tab> Certificates and then import the CCA India Root certificate in the Trusted Root Certification Authorities Tab and CA (Certifying Authority) Certificate in the Intermediate Certification Authorities Tab. If you do not have CCA India and CA (Certifying Authority) certificate, the same can be downloaded from Certifying Authority website. How to import the Digital Certificate into web browser? How to import the Digital Signature Certificate into web browser? Open your Internet Browser and go to Tools> Internet Options> Content Tab> Certificates and click on import button. 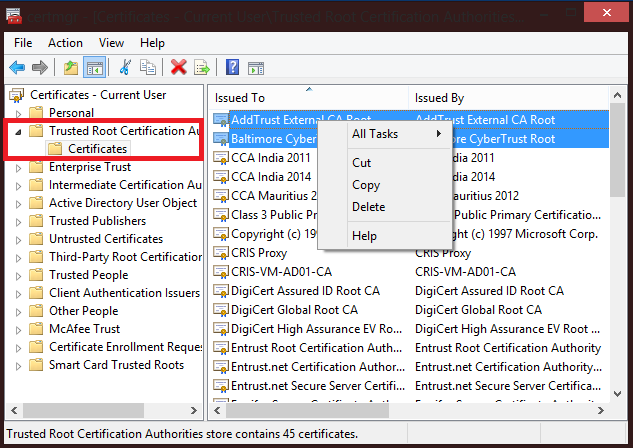 A certificate import wizard window opens, then clicks on next and then select the file which you have on your system (or created through export process) and then click next and after this select the place (Personal, Other People, Trusted Root Certification Authorities etc.) where you want to install your certificate and then click next and after then click finish. An alert message like “The import was successful” is displayed on successful import. How to export the Digital Signature Certificate from the e-token? Open your Internet Browser and go to Tools> Internet Options> Content Tab> Certificates> Personal, select the certificate which you want to export and then click on export button. A certificate export wizard window opens, then click on next and then assign a location and a filename in your computer to store the certificate. An alert message like “The export was successful” is displayed on successful export. 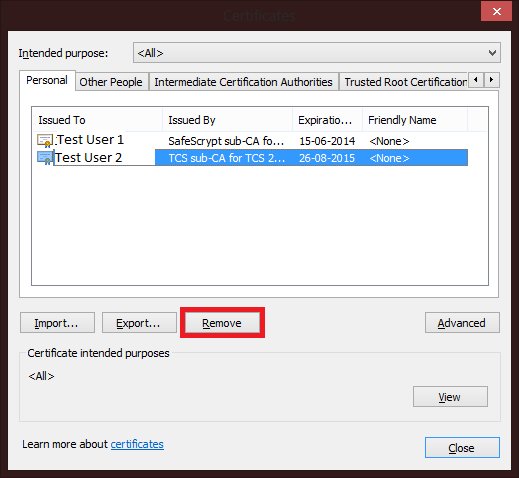 Please note that by exporting the certificate, only public key of the certificate is getting stored in a file with .cer extension.